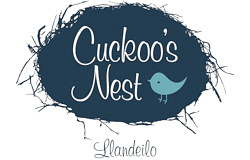 Cuckoo’s Nest is located in the heart of Llandeilo which was voted <em>’One of the coolest places to visit'</em> by the Sunday Times. Our product range is varied so that you can find a gift for all ages and occasions all under one roof from beautifully handcrafted jewellery made by award winning local jeweller Emma-Kate Francis, to unique and stylish bags for the many bag-lovers out there. Cuckoo’s Nest is proud to stray away from mainstream products. 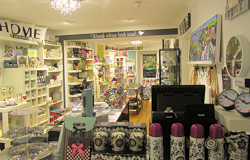 This is the place to come if you are looking for a unique gift, cherish good design and are inspired by the stylish, the quirky and the creative.